What is the Pig of the month? What we do agree on is the Pick and Pig of the Month. The Pig of the month is the game that we have played which we have least enjoyed. The Pick of the month is our favourite from that month’s streaming. The choices may be related to how much we have won, but only subliminally. To see our best wins and biggest losses check out the Banker of the month and the *anker of the month. An easy one this – by far our favorite game was Gunslinger from Blueprint. 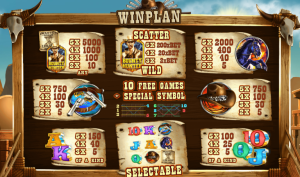 Yes we had a decent win on this in February – see the video and review here. However it’s the game play that takes the accolade a book-style game that allows you to choose your symbol, then allows you to collect more symbols with each re-trigger – absolutely inspired. Well done Blueprint – more please. Again, this was an easy one for February. 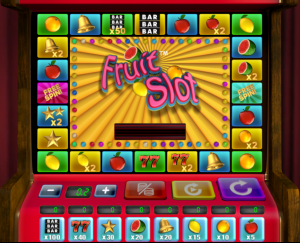 Great casinos GiG but we’re sorry the games need a bit more, Fruit Slot is a pure pig. Take the raceway concept from Quickspin’s Second Strike (an annoying feature in itself when added to the Quickspin game) and then remove the reels and make it the whole point of the game. We know you can do better, you already have but do yourselves a favour and retire this one quickly it tarnishes your later efforts.